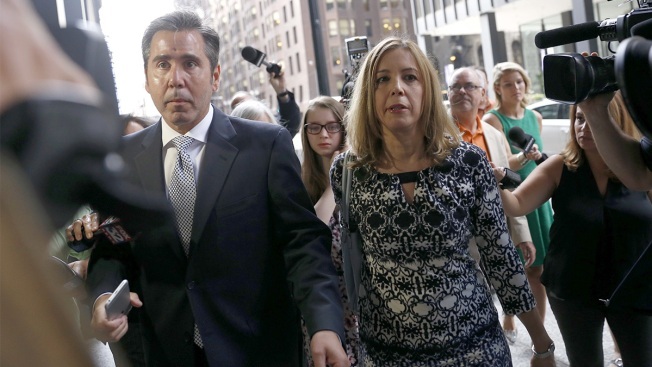 The wife of former Illinois governor Rod Blagojevich said she and her daughters "could not be more disappointed" in the U.S. Supreme Court's decision to not hear her husband's appeal. It was a devastating blow to Blagojevich, his family, and legal team, who had hoped they would get good news when the court released its order list at 8:30 am. Instead, the Blagojevich case merely appeared on the list under the caption “Certiorari denied,” meaning the Court would not consider the case. For Blagojevich, this was almost certainly the final legal avenue to potentially shorten his time in prison. The former governor is in his seventh year of a 14-year sentence at the Federal Correctional Institution in suburban Denver. Blagojevich, his family, and supporters had argued there was a larger issue at stake than the former governor’s freedom. Numerous politicians and others filed briefs with the court, asking that they take Blagojevich’s case to clear up what even opponents agree is arcane and, at times, even conflicting campaign finance law.